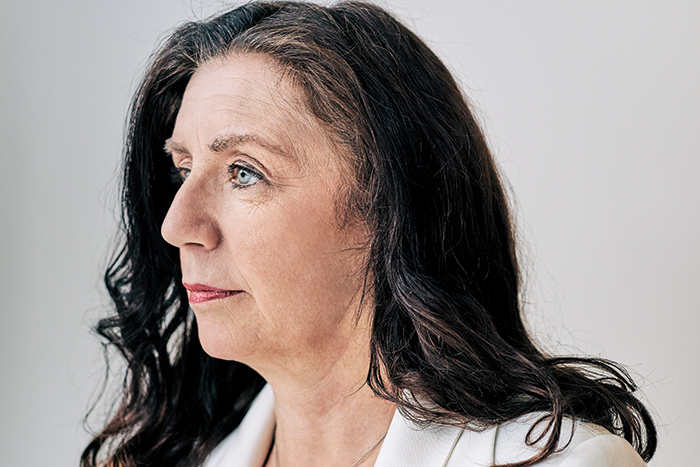 Futurist Renata Glowacka Bushko ’86 dreamed that artificial intelligence could save lives. She convened a brain trust of researchers whose remarkable ideas are changing health care delivery. In an essay she wrote 20 years ago, Renata Glowacka Bushko ’86 predicted a doctor of the future— who might better be described as “a distributed Intelligent Caring Creature (ICC)—would have the combined knowledge of the best physicians, pharmacists and nurses from different medical specialties.” Patients would visit this “doctor” in cyberspace, armed with information from computers embedded in the walls of their homes, sensors on their beds and toothbrushes and even nanocomputers inside their bodies that would provide continuous screening of their physical and mental health. Bushko set the year 2057 for this revolution in medicine—but thanks to the Future of Health Technology Institute, a think tank she founded in 1996, much of what she envisioned is already coming to pass. “I started with the mission to save lives and reduce suffering,” Bushko says. “It’s as simple and as complicated as that.” A computer science major at Smith, she first encountered the concept of artificial intelligence (AI)—teaching computers to think like humans—in a class with computer science associate professor Jane Hill, when Bushko worked on a project on teaching computers to acquire language. After graduating, she further explored the concept at MIT with one of the founders of AI, Marvin Minsky, who encouraged her to found the Future of Health Technology Institute. Beginning in 1996, the annual institute has explored ways to use artifi- cial intelligence and machine learning to transform health care. “We do not take full advantage of all the available technology we have,” Bushko says. Already, she argues, computers and smartphones can take much of what happens in hospitals and doctors’ offices out into the world, giving consumers more control over their own health and at the same time improving medical outcomes. Under her leadership, the institute has published four books and sponsors an annual summit at MIT to share the research of health care luminaries (including pharmacologist Lorraine Gudas ’70, an honoree at the 2013 gathering) who are exploring how AI, robots and other advanced technologies are pushing the frontiers of health care. Along the way, the summit has helped connect researchers and early- stage companies with government, private and philanthropic funders who can take them to the next level. “Students I picked for presentations years ago are now running successful companies,” says Bushko, whose mind leapfrogs with passionate intensity from idea to idea in conversation; one moment she is theorizing about a new system to crowdsource medical knowledge, the next she is talking about how to create new genetic tests to predict customized cures. Here, Bushko describes a few of the intriguing technological possibilities presented at her ongoing conferences over the past two decades. 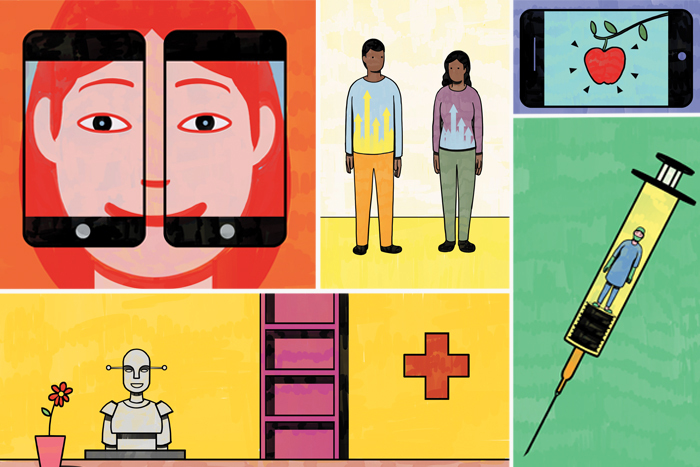 Some are still in the realm of dreams, but others are coming soon to a hospital—or a smart phone—near you. By using the join bonus no deposit you may also play the Scratch Card games. Therefore, if you’re unable to win in 1 game, you have the opportunity to play another game and earn money out of them. You will discover a hot game free here. In addition, don’t neglect to benefit from the completely Free Mode where you are able to practice your game as many times as you want for free before you create your first deposit. You may now play these games on your cellular device. If you would like to play casino games and you have an intelligent phone, then the mobile casinos are ideal for you. Influential Professor: Jill de Villiers, professor of philosophy and Sophia and Austin Smith Professor of Psychology.